BY BOULDER WEEKLY – This healthnut hotspot only opened a few weeks ago, but, if we’re being honest, we’ve already visited the superfood cafe half a dozen times. Our favorite, so far, is the signature Superfood Bowl: a thick, creamy base blend of açai, graviola, acerola, their signature “VB blend” (an immunity booster made from mangosteen, aronia berry, camu camu, moringa, açaí, blueberry, pomegranate), plus almond milk, kale, bananas and strawberries. 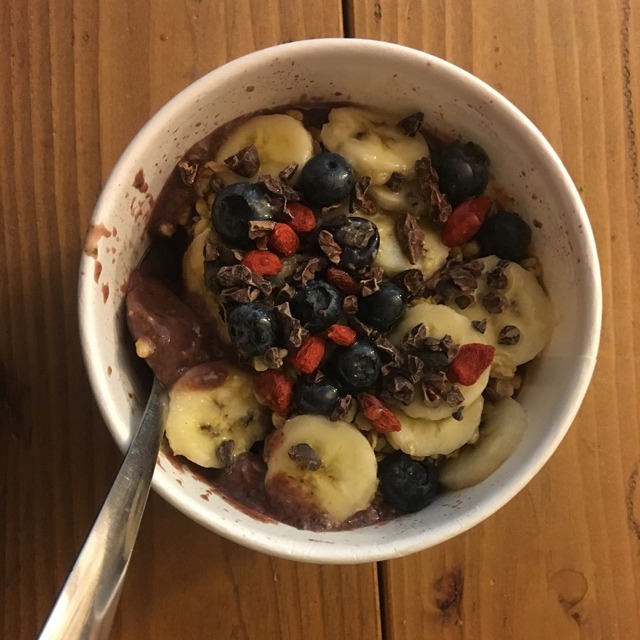 On top, granola, banana, blueberries, goji berries, cacao nibs and honey round out the bowl with a delightfully sweet-but-not-too-sweet crunch. Hangovers and sickness be gone. $13.49.